I’ve been a busy girl this week! I have been elbows deep in strawberries whenever local toddler lets me. I bought a flat of strawberries from Prochaska Farm at the Canton Farmers Market on Sunday. 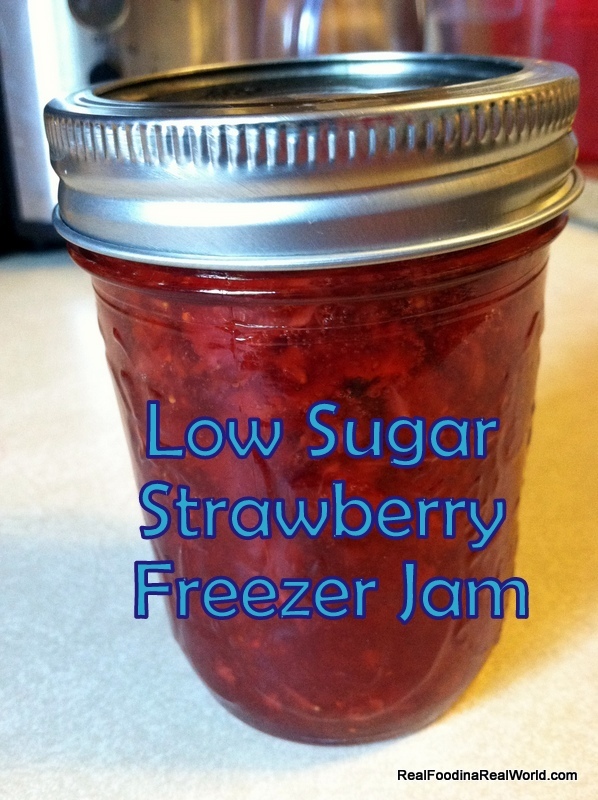 I just finished up turning the entire flat into freezer jam. Enough with the chit-chat. Let me get to the reason you are reading! 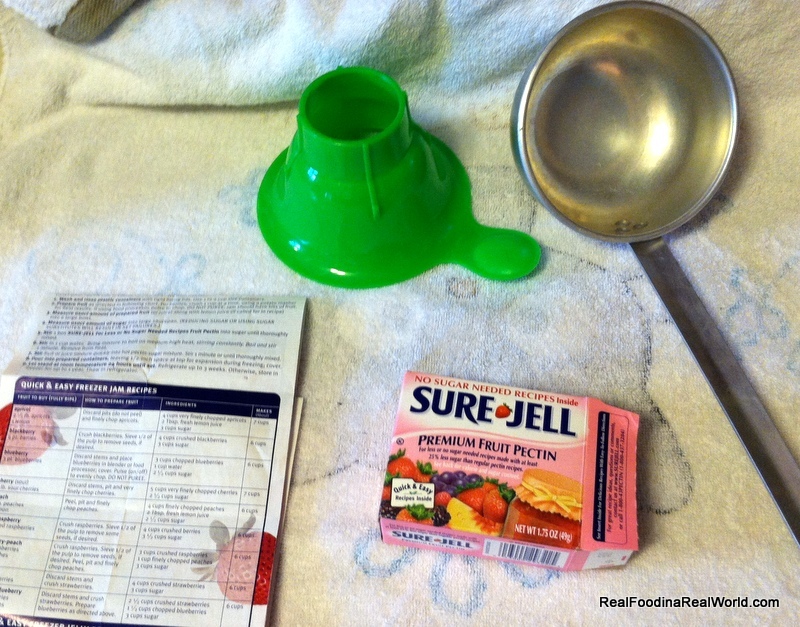 The Sure Jell pectin comes with directions in the package, always check those to be sure that you are following the correct directions. I will break down the steps here so you can see just how easy it is! Mix pectin and sugar well in large pot, set aside. Clean, de-stem and crush berries, approximately one cup at a time. 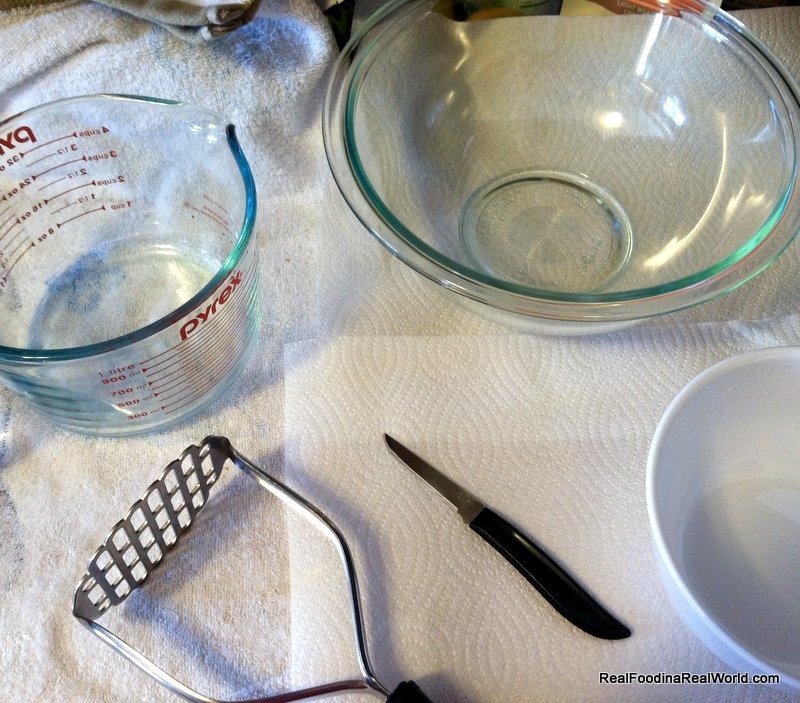 Add water to pectin mixture, heat over medium-high heat while stirring constantly. Once pectin mixture reaches a boil, continue to boil and stir constantly for one full minute. 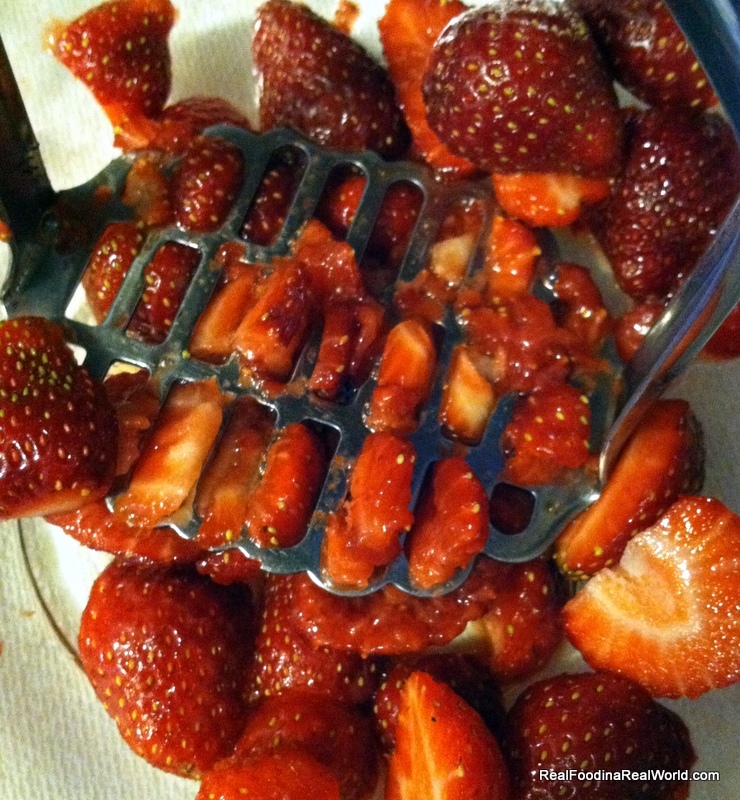 Remove from heat, stir in crushed berries and stir until well combined. Pour mixture into jars leaving a half inch of headspace(I usually use a mixture of pints and half pints) Place lids and bands and let cool for up to 24 hours on counter and then place into freezer for up to one year. 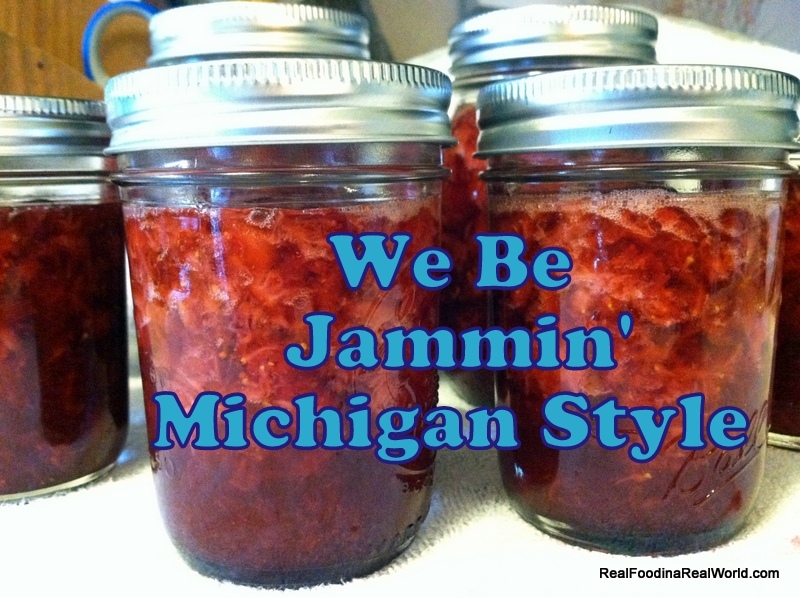 One batch of jam will yield approximately 4 pints, or 8 half pints. Yum!! I just picked strawberries the other day at Spicers in Fenton. Need to make some jam, so will use this recipe 🙂 I can’t recall how I found your blog, but I LOVE it! Keep up the great work. Thank you so much for the kind words! Spicers is a special childhood memory holder for me, my grandparents used to live on Lake Tyrone in Hartland and we would always stop at Spicers on the way to their house. My little brother an I would each get a candy stick. We used to go fruit picking there too, and then my poor grandmother would be making pies and other delicious things to use up the yummy stuff we picked. Thanks for the jog down childhood memory lane!